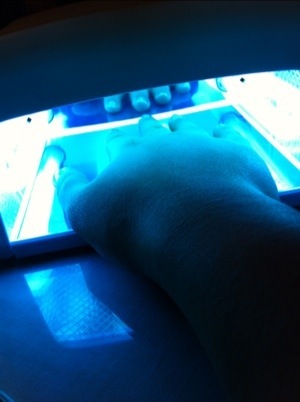 Gel nails are not the cheapest beauty item to indulge in on a regular basis. Most salons in Singapore offer gel manicures for about $ 60-70 for a full service (such as cuticle care, massage etc) and about $80-90 for a similar pedicure. There are shops that offer express gel nails. Basically, this only includes the painting of the gel. No extra frills such as pushing the cuticle further back. Express gel manicures are about $30 and pedis at $40. Head down to places like bugis market or I prefer far east plaza for such services. ** thing to note: it might be cheaper to go express but the mani and pedi might not be the best as most will paint the gel over the cuticle. As the nail grows, the gel will tug on the cuticle making it uncomfortable for you. For those who do not apply gel on the cuticle, this will mean that the mani/pedi will not last as long since 1 mm of nail under the cuticles have been left bare. If you not wish to do gel nails all the time, heading to the shop to get it done might be a better idea. In my previous post, gel nail home kits are a pretty hefty investment. 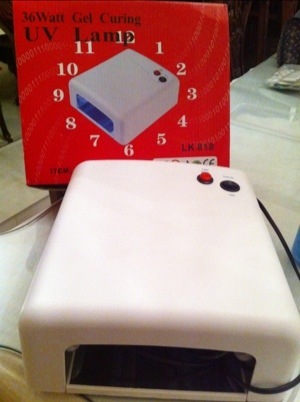 They require more equipment and special products like the uv light, cleansers etc. If you are not as accurate with your nail polish, I suggest you do lots of practice with regular polish first until you get a steadier hand. Applying gel polish is a lot tougher than regular polish since its self -levelling. There are pros and cons to this. Pro is that you don’t get bumps or dips in the polish. However, since the gel moves to fill into the crevices, you need to be careful in applying just the right amount of gel on the nail. My first mistake was applying too much (you probably need half the amount of gel vs regular polish). The gel flowed all around my cuticles and it took a while for me to completely remove it with gel cleanser and even having to file it off once the gel cured. 2. 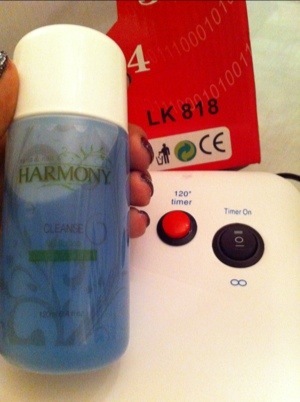 Gel cleanser – this is for removing the excess un-cured gel. I got mine for $16. there might be a cheaper alternative so look around. 3. Lint-free wipes – didn’t manage to include this in the pic. But you can use an old cloth that doesn’t shed or paper towels. Its not easy to find a cheap lint-free cotton in sg. Worst scenario, cotton wool. Just be careful that you dont get cotton stuck on the edges of the nail. 1. start off with clean nails with cuticles pushed back. File and shape as you please. Use rough file to remove the shine on your nail. Nail should be full of scratches. 2. apply ph bond all over your nail. One thin coat is enough. this brand does not need to cure. 3. apply foundation gel all over nail. One thin coat is enough to act as a base coat. If you intend to do gradient nails, you might wan to apply a foundation gel that is slightly tinted with pink or you could do 2 coats of clear foundation gel. Cure for 1 minute per coat. 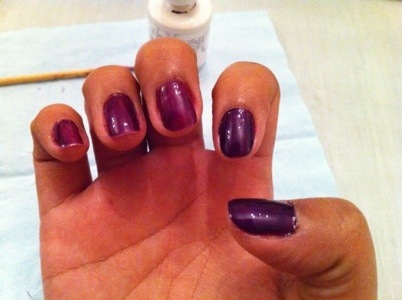 4. apply thin coat of colour. Cure for 1 minute per coat. Reapply another coat or as many as you wish. (3 should be the max or it might get too thick). 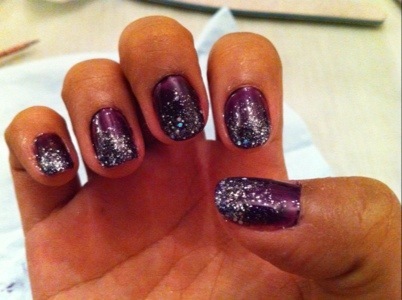 5. apply glitter to the tips. Cure for 1 minute per coat. You might need 2 coats of glitter depending on what you would like to achieve. Usually I would put one coat on 3/4 of the nail and another coat nearer the bottom half of the nail for a gradient effect. 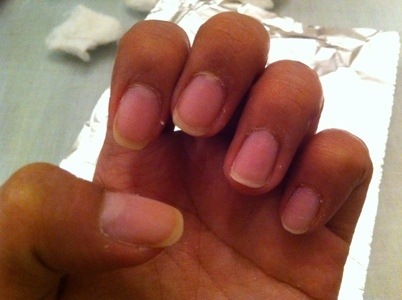 6. file away any excess cured gel on the sides of the nail or cuticle. 7. use cleanser gel and lint free wipe/cloth and wipe away excess gel on nail. 9. depending on your top coat, you might need to repeat step 7. the top coat I had shown above by IBD intense seal does not require wiping the excess gel away. 10. ta daaaa! Uve got gel nails now! – the process takes longer. So be patient. Hi, may I know where we can buy the Brite gel polishes in Singapore? A good place to start are the shops at Far East plaza. The prices are competitive so do go shop around first. Worst come to the worst, look at enamour beauty Far East plaza or the one that is higher priced is enamour beauty at Bugis village second floor. Hi Glamify, thanks for info & fast reply!!! I couldn’t find much info on this Korean brand online although it seems popular in Sg. There are a few colours I love! 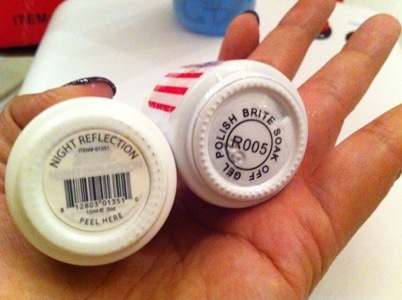 Brite has been known for their glitters. I find that they work better with the GELISH top coat rather than IBD. IBD seems to cause hair line cracks in the nail. I don’t get that problem with the GELISH. Do check this post out as there are prices for the other gel items. Yes, indeed it is a Brite glitter colour that I am looking for. I love it! But was unable to find much info on online sellers or where to buy it in town. 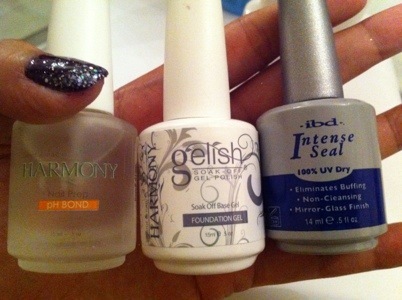 Also your info about the IBD vs Gelish top coat is very useful. I am still a noob. Going to pop into town Far East Plaza and hunt down the colours. Thank you so much for your kind help!! !